We search the murky back waters of youtube to find full concerts and post them to the site weekly, come back every seven days to help us celebrate Full Show Friday's. 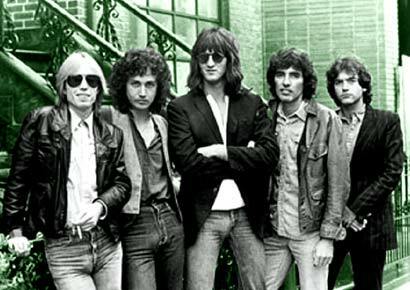 These shows are of varying quality and may not be here for long so enjoy them while you can...As always, please support the artist every which way, but especially by seeing them live (if they are still playing)...This week...Tom Petty and The Heartbreakers! We are going to spend some quality time at Winterland back in 1978 with Tom Petty and The Heartbreakers this Friday. A cool show from closer to the beginning of the groups career and right before their mega breakthrough Damn The Torpedoes. Things aren't perfect but it is a good capture of that night. The following evenings NYE show is up there as well so maybe we will get to that one next year. Anyway on with the gig we are presenting here. Love all the covers they mix in, especially "Dark End Of The Street" which is one of our favorite tunes. The original came out of Muscle Shoals and is a doozy, the bands version here is great as well. "Shout" and "I Fought The Law" whipped the crowd into such a frenzy Tom got pulled off stage. As for the originals, we get a glimpse of the rare and spooky "Casa Dega" that is accented nicely by organs. I love the dark vibe hanging over "Fooled Again" along with the mixing of pure pop "American Girl" and desperation of "Breakdown". A fun peak into early Heartbreaker setlists and shows. Realy Like this Post, I highly appreciate those people who share some good information, because I like those people who actually share :).